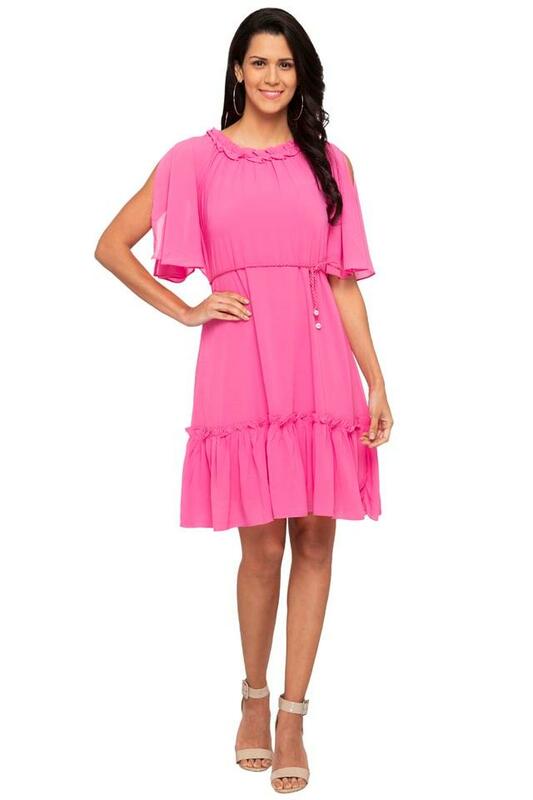 Wear your attitude with this flared dress from AND. 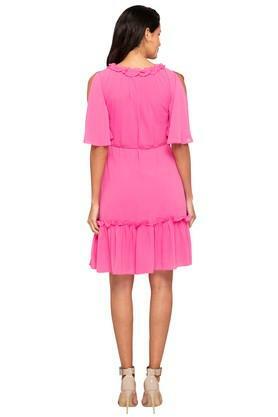 It comes with a solid pattern and ruffled collar along with a perfect fit design gives an attractive look. Crafted from good quality fabric, it promises easy maintenance and slit sleeves will give your attire a structured design. For women who priorities comfort, this flared dress is a must-buy. Team this dress with a pair of ballerinas for a chic look.